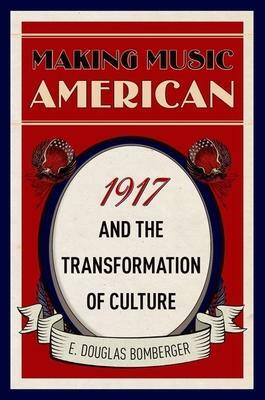 The year 1917 was unlike any other in American history, or in the history of American music. The United States entered World War I, jazz burst onto the national scene, and the German musicians who dominated classical music were forced from the stage. As the year progressed, New Orleans natives Nick LaRocca and Freddie Keppard popularized the new genre of jazz, a style that suited the frantic mood of the era. African-American bandleader James Reese Europe accepted the challenge of making the band of the Fifteenth New York Infantry into the best military band in the country. Orchestral conductors Walter Damrosch and Karl Muck met the public demand for classical music while also responding to new calls for patriotic music. Violinist Fritz Kreisler, pianist Olga Samaroff, and contralto Ernestine Schumann-Heink gave American audiences the best of Old-World musical traditions while walking a tightrope of suspicion because of their German sympathies. Before the end of the year, the careers of these eight musicians would be upended, and music in America would never be the same. Making Music American recounts the musical events of this tumultuous year month by month from New Year’s Eve 1916 to New Year’s Day 1918. As the story unfolds, the lives of these eight musicians intersect in surprising ways, illuminating the transformation of American attitudes toward music both European and American. In this unsettled time, no one was safe from suspicion, but America’s passion for music made the rewards high for those who could balance musical skill with diplomatic savvy.